We are excited to have our first Dyno Day at Vortex Motorsport! We will start with coffee and donuts in the morning while we get a great look of the Vortex shop and the services they offer. The management of Vortex will be choosing their favorite car and the winner will get some great swag, so be sure to shine up your car for this event. 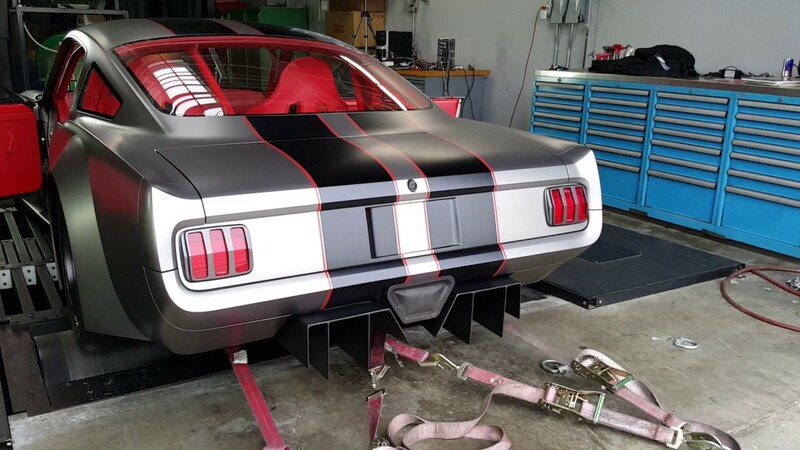 Members will have the opportunity to put their mustang on the dyno for 2 pulls at the discounted price of $75. Printouts of the runs will be given to the members. 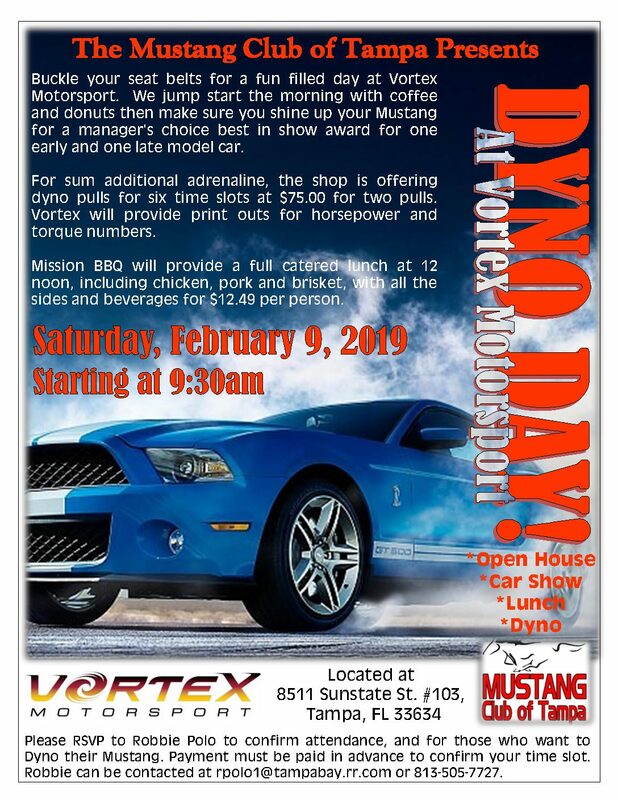 Please RSVP to Robbie Polo to confirm attendance, and for those who want to dyno their Mustang. Payment must be paid in advance to confirm your time slot. Robbie can be contacted at rpolo1@tampabay.rr.com or 813-505-7727. We will finish off the day with some catered lunch from Mission BBQ, including chicken, pork and brisket, with all the sides and beverages for $12.49 per person.